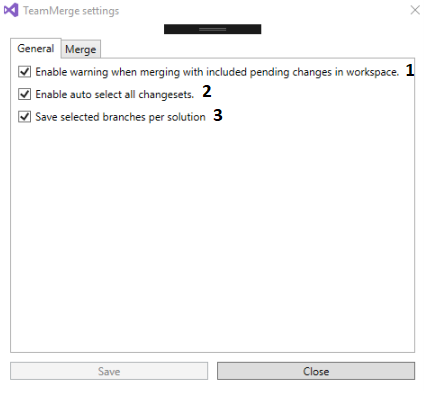 Merge your branches with all associated work items of the changesets. A new button will appear in your Team Explorer. Here you can easily merge branches with each other. 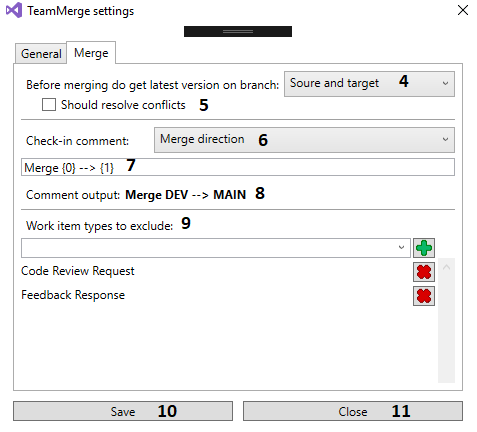 When merging changesets between branches the associated work items of the changesets will also be added in the pending changes. Checks before merging that your workspace does not contain any more included changes. If it does it will stop the merge and show a warning. Auto select all changesets after you fetched all your changesets. Based on AutoMerge by CDuke. With help of Ruben Willems.